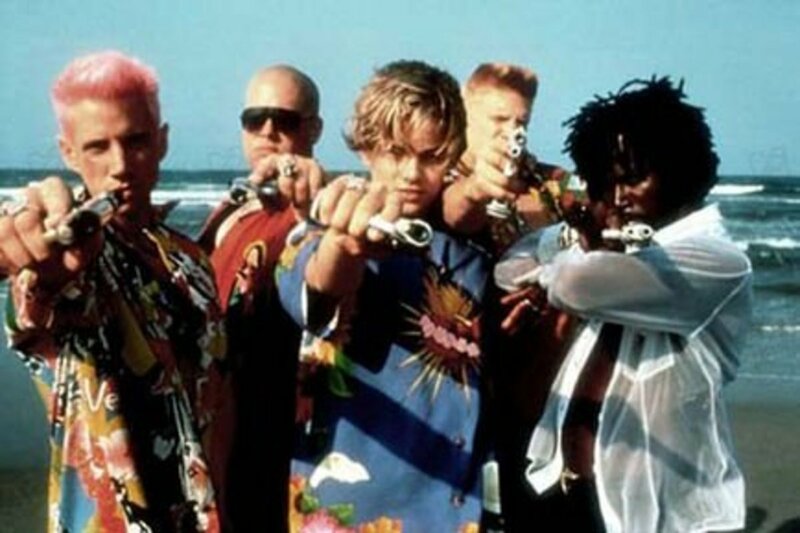 Guns and Violence in Baz Luhrmann's "Romeo + Juliet"
In 1996, Baz Luhrmann brought William Shakespeare's timeless dramatic tragedy to teen audiences with his hit film Romeo + Juliet. In the dizzying postmodern world of Verona Beach, the warring teen gangs are matched in ferocity only by their rival parents' business conglomerates, the Capulets and Montagues. The film maintains Shakespeare's dialogue but modernizes it with guns instead of rapiers, a drag queen Queen Mab speech, and teen beauties Leonardo DiCaprio and Claire Danes as the titular characters. 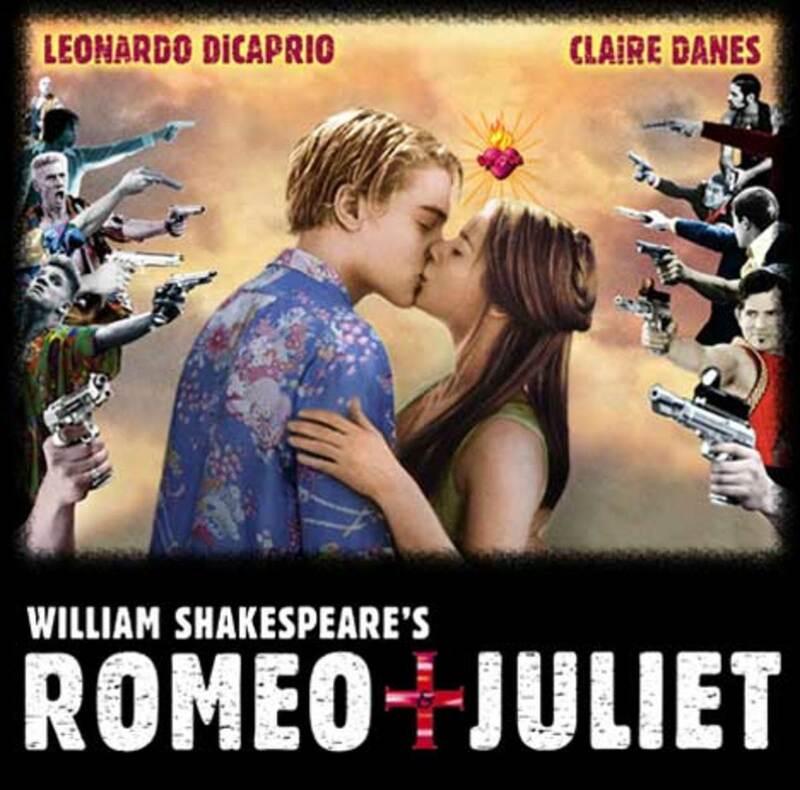 While the film was popular with audiences and many critics, some critics complained about Romeo + Juliet's hyperkinetic MTV-style production and violence that they felt did not match Shakespeare's text and perhaps in some way trivialized the message of the play. The film was certainly controversial for the nature of the violence it depicted. By showing Romeo and Juliet as two young, attractive teens in a modern, violent world (as opposed to, say, actors in Elizabethan tights), their grisly fates become all the more unsettling. With real-life gang warfare and school shootings, their story hits a little close to home for 21st-century audiences. But is that a bad thing? Luhrmann employs violence in this film not to glorify or sensationalize the behavior, but to address issues of the western world at the turn of the century. He portrays violence to show how it leads to senseless death, not to provide mindless entertainment. Luhrmann's Romeo + Juliet deserves a closer look to see how it handles a chaotic world where children and adults don't understand each other and where both use guns and violence to settle their problems. A young boy at the gas station playfully points a toy gun at Tybalt and shouts, “Bang bang!” Tybalt responds in kind, only by pointing a real gun in the boy’s face, whose eyes widen in fear. Luhrmann makes a point of contrasting the innocent play of one boy and the dangerous threat of another. The Montague and Capulet boys become big children playing with their guns and acting tough. They either do not know or do not care that they have the power to wreak death and destruction. After the prologue, Luhrmann’s Romeo + Juliet starts off with a brawl between the Montague and Capulet boys at a gas station, an amalgamation of the spaghetti Western and the Hong Kong action movie. There is a close-up of Tybalt’s cowboy boot stamping out a lit match in the style of Westerns like A Fistful of Dollars and Once Upon a Time in the West. Even the music contributes to the Western feel, with the “eerie whistlings [evoking] Ennio Morricone’s trademark western scores” (Loehlin 126). The frenetic editing and slow-motion gunplay (especially with the “shots of the leaping Tybalt firing two guns at once”) pay tribute to Hong Kong director John Woo (Loehlin 126). The parodying of these two film genres serve to set the audience at ease in the beginning of the film. This brawl is for entertainment purposes; the audience does not feel threatened by the Western and action genres. As Luhrmann “places us in a privileged position, seeing the characters (as they cannot) locked within recognizable genre frames,” we the audience feel distanced from real danger, sealed off from “reality” (Walker 134). In contrast to the opening feud between the Capulets and Montagues is the much more serious and violent fighting between Mercutio, Tybalt, and Romeo. The duel between Mercutio and Tybalt is “staged very differently, in cinema vérité style, with a hand-held camera thrust among the awkwardly scuffling combatants” (Loehlin 126). The hand-held camera is jumpy and unsteady, and the tone shifts from comedy to tragedy after Mercutio is stabbed. 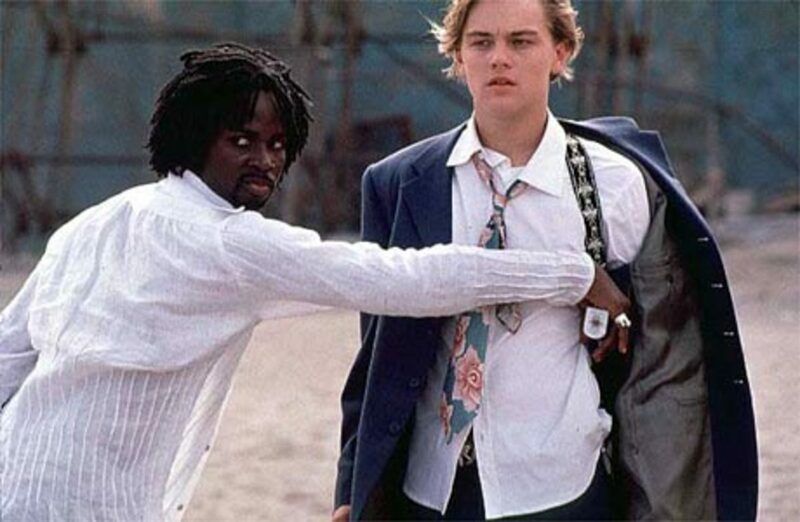 As Elsie Walker states: “The ‘reality’ of Mercutio’s death is the opposite of the hyper-reality, the fast cars and flash guns, of the opening brawl” (135). The audience can no longer feel detached from and entertained by the violence; the danger is real for the characters. The film is framed by a television-boxed newscaster who delivers the prologue and the epilogue in the style of the evening news. The way the newscaster gives the news in a detached, emotionless monotone “becomes a poignant reflection on the media’s ability to trivialize and, through glib sensationalism, to empty a tragic event of meaning” (Walker 135). Even though the audience has spent two hours with the passionate lovers, when their sheet-covered corpses are lifted into the ambulance, they become merely the most recent victims of a gang-related feud. Where do the lovers fit in? Romeo and Juliet’s love stands in complete contrast to the chaotic, fast-paced world they inhabit. They are often “surrounded by moments of stillness, and some of the longest unmoving takes of the film are in the extreme close-ups of their faces, creating a ‘sweet counterpoint to the chaos’” (Hamilton 122). There is a recurring motif of water, which serves to insulate them from the outside world. Juliet first appears submerged in a bathtub; Romeo tries to clear his drug-addled head by dunking it in a sink. Romeo and Juliet first catch sight of each other on opposite sides of an aquarium; the “blue calm of the water, with its glowing tropical fish, replaces the deafening revelry of the party as the lovers stare at each other, entranced, through the glass” (Loehlin 128). The balcony scene is transported to the Capulet swimming pool. 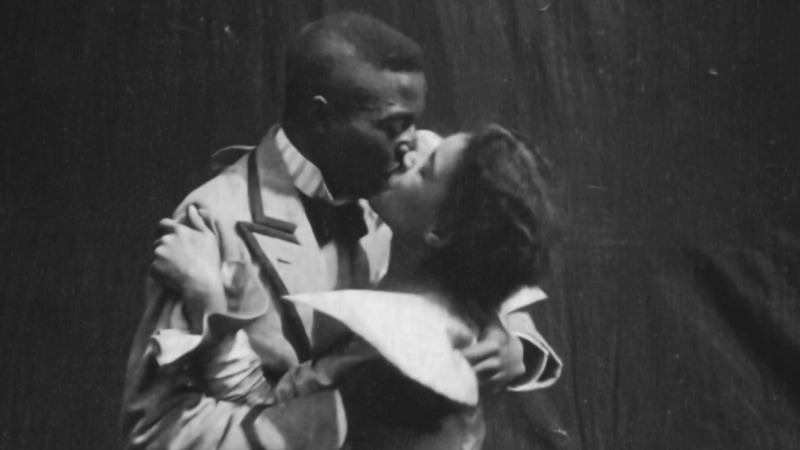 Kissing and holding each other in the water, in danger of being discovered by the guards, the teenagers believe “that they are hermetically sealed off from the rest of Verona, able to guide their own destinies” (Walker 134). Romeo and Juliet’s idealistic love has no place in the harsh reality of Verona. James N. Loehlin argues that their love does not fit into the present or future, only in the past. While Dave Paris dresses as an astronaut at the Capulet party, Romeo and Juliet “are dressed as a knight in shining armour and a Botticelli angel; costumes that look nostalgically back to a cultural past that could embrace their love” (Loehlin 129). The editing also reminds the audience that Romeo and Juliet’s love is constantly threatened by violence. While Juliet anxiously awaits Romeo on their wedding night, the scene cuts to Romeo racing after Tybalt, his face “bloody and contorted with hate.” When Romeo shoots Tybalt, “Lurhmann intercuts a half-second image of Juliet in her bedroom, as if hearing the shots.” Even when the lovers lie in each other’s arms, Romeo is awakened by an image of Tybalt’s dead body (Loehlin 128). The film uses such quick cuts to jump back and forth between scenes of peaceful love and hateful violence; as a result, no one is safe from and untouched by death. Their suicides are the final violent acts in Romeo + Juliet, capturing the desperate self-destruction of youths disillusioned with the uncaring adult world. Their deaths seem especially poignant and tragic given today’s rate of teen suicide. Lest the story glamorizes teen suicide for young viewers, Shakespeare’s text “is not a dangerous how-to manual, but a pedantic warning against the recklessness of these two teens” (Guenther 19). Children should not get married but should listen to their parents. Unfortunately, the adults in Romeo + Juliet are hardly admirable role models. Montague and Capulet seem more like mafia kings than heads of corporations, just as violent and thuggish as their youthful kin. The parents are completely out of touch with their children. Gloria Capulet demands to speak to Juliet alone, looks at her daughter and panics, and calls the Nurse back in to mediate. Ted Montague asks Benvolio what has been troubling Romeo; it never occurs to him to ask his son himself. Capulet strikes Juliet in rage when she refuses to marry Paris; her mother is coolly indifferent. Juliet arriving at Friar Lawrence’s cell in her schoolgirl uniform and pointing a gun at her own head is a jarring and disturbing scene. These youths are placed in desperate situations, and the adults are failing them. Not only are the adults of Romeo + Juliet greedy and uncaring, their world appears sinister and frightening to the youths. At Capulet’s party in particular, Luhrmann “wanted the feast to be somewhat sinister; he wanted ‘Romeo and Juliet and the audience to walk into a grotesque, Bacchanalian example of what their parents’ world is’” (Hamilton 120). Lord and Lady Capulet appear dressed as Julius Caesar and Cleopatra, Tybalt as the devil, their faces leering and menacing. It is no wonder that the ecstasy-tripping Romeo dunks his head in a sink of water, eyes open wide, screaming underwater. The Sharks and the Jets, juvenile delinquents or just misunderstood? Connections to "West Side Story"
Loehlin connects Romeo + Juliet to Robbins and Wise’s 1961 West Side Story. By stressing the generation gap between the youthful protagonists and the uncaring adults, Romeo + Juliet follows in the tradition of teen films such as West Side Story and Rebel Without a Cause. Teen films that emerged in the 1950s after WWII commonly portrayed teenagers as either delinquents or as “sensitive idealists misunderstood by their shallow, vain parents” (Loehlin 122). 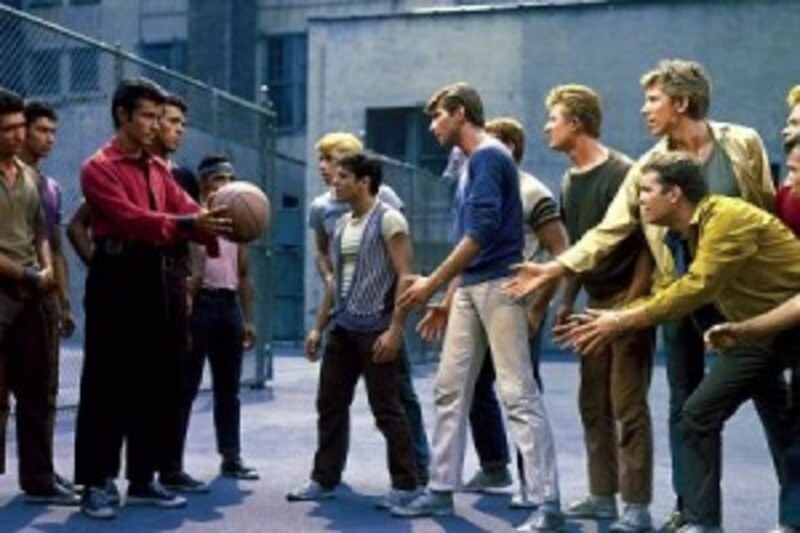 Parents do not even appear in West Side Story, but figures such as Officer Krupke and Doc cannot understand or sympathize with the hoodlum Jets and Sharks. Luhrmann follows West Side Story by portraying the feuding families “as rival gangs; his Montague and Capulet boys duplicate not only the ethnic affiliations (Anglo and Latino) but also the colour schemes (gold and blue versus black and red) of the Jets and Sharks” (Loehlin 123). West Side Story addresses the concerns of the fifties and sixties just as Romeo + Juliet does for the nineties: unsupervised teens with too much time on their hands either fall into gangs and delinquency or into love. An important way that Romeo + Juliet differs from West Side Story is that there is no resolution to the violence in the former. Maria survives and denounces both gangs for the rumble that led to deaths on both sides. The Jets and the Sharks put aside their hate as they both carry away Tony’s body. There is hope that the cycle of violence will be broken. In Romeo + Juliet, the lovers take their lives in brutal ways, victims of both their foolish passion and their destructive environment. The Montagues and Capulets are both punished for their feuding by the deaths of their children, but they show no signs of reconciliation. Romeo and Juliet’s deaths bring no hope or resolution to their families; “they become merely another lurid image for a media-besotted culture, body-bagged victims in a grainy news video” (Loehlin 130). Luhrmann’s Romeo + Juliet presents violence in a balanced way. The over-the-top Western-style brawl at the beginning is countered by the bloody and grim deaths of Mercutio and Tybalt, and then Romeo and Juliet. The opening fight glamorizes action and violence to entertain the audience; the subsequent fights only lead to senseless death and pain. 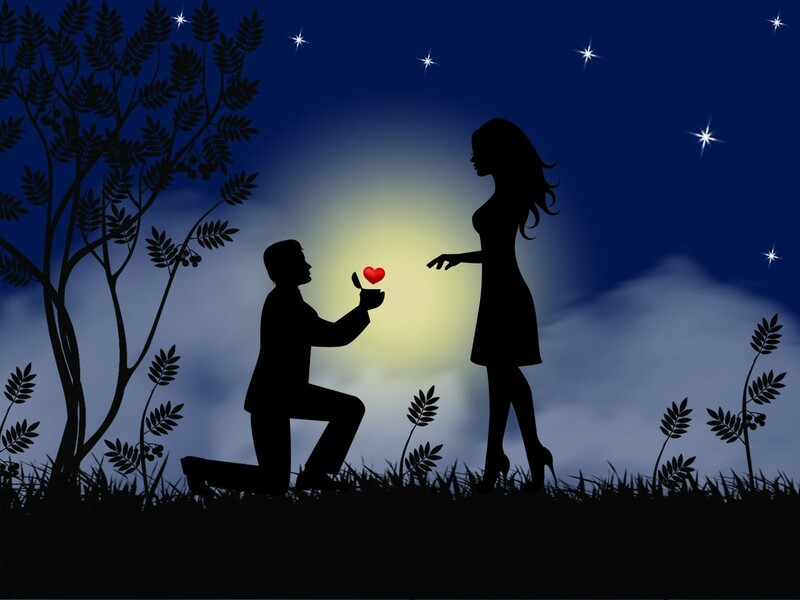 There is no way to dismiss the circumstances that would lead Romeo to take poison in the arms of his love. It is a similarly agonizing moment as Juliet watches Romeo die in her arms, sits in stunned and anguished silence, then slowly picks up his gun and shoots herself. Barbara Hodgdon comments that Romeo + Juliet shows how “there seems to be no answers, fictional or real, religious or legal, to gender, ethnic and class differences and conflicts, to generational strife, or boys with guns” (Loehlin 133). Guenther, Leah. “Luhrmann’s Top 40 Shakespeare and the Crisis of Shakespearean Consumption.” Journal of American Culture 22 (1999). Galileo. EBSCOhost. Sturgis Lib. Electronic Resources, Kennesaw, GA.25 Nov. 2007 <http://search.ebscohost.com>. Hamilton, Lucy. “Baz vs. the Bardolaters, Or Why William Shakespeare’s Romeo + Juliet Deserves Another Look.” Literature-Film Quarterly 28 (2000): 118-123. Loehlin, James N. "'These Violent Delights Have Violent Ends': Baz Luhrmann's Millennial Shakespeare." Shakespeare, Film, Fin De Siécle. Ed. Mark T. Burnett and Ramona Wray. New York: St. Martin's P, 2000. 121-135. Luhrmann, Baz, dir. William Shakespeare’s Romeo + Juliet. Perf. Leonardo DiCaprio and Claire Danes. 1996. DVD. 20th Century Fox 2002. Walker, Elsie. 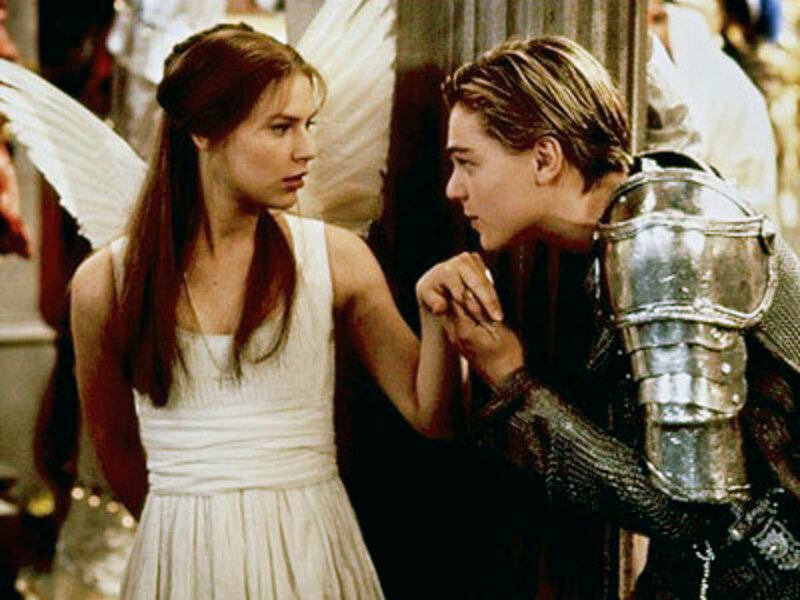 "Pop Goes the Shakespeare: Baz Luhrmann's William Shakespeare's Romeo + Juliet." Literature-Film Quarterly 28 (2000): 132-139. I'm so glad I found this article on Pinterest! You give some great thoughts to the modernized world of Shakespeare that Baz Luhrmann created. 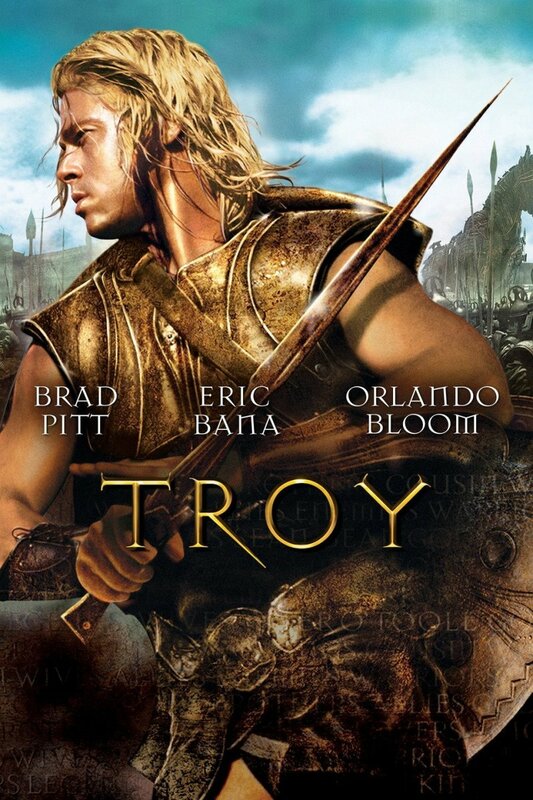 I'm not usually a fan of this play, but I enjoyed this film. 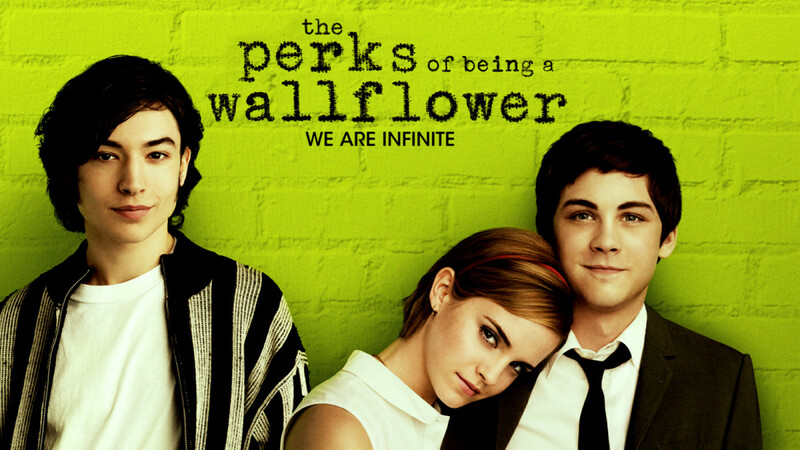 It gave a great balance both to the tragedy of the love story and the tragedy of the world that they lived in. And I think you express all that very well in your article. is there a way you can compare the both about the theme of violence in both play and the film version? Agreed! I'm a fan of DiCaprio's too. I can't help it, but I loved this modern version SO much better. Maybe because of DiCaprio... I thought it was a brilliant interpretation. Same here! Oh, I miss Wishbone so much--I wish they'd put them out on DVD! 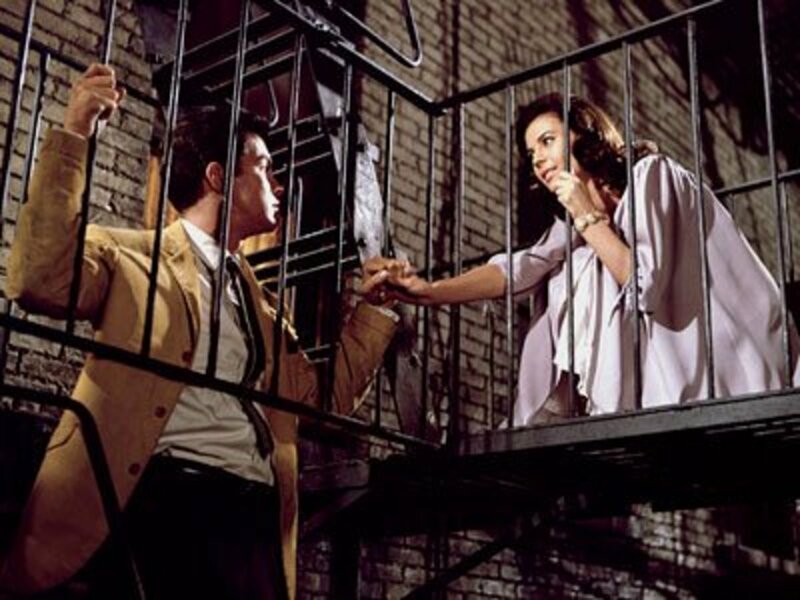 I fell in love with West Side Story when I was about ten, before I saw any film version of R+J (except the Wishbone one!). But I've had the pleasure of seeing the play at our local Shakespeare Tavern three times and I've always loved it. 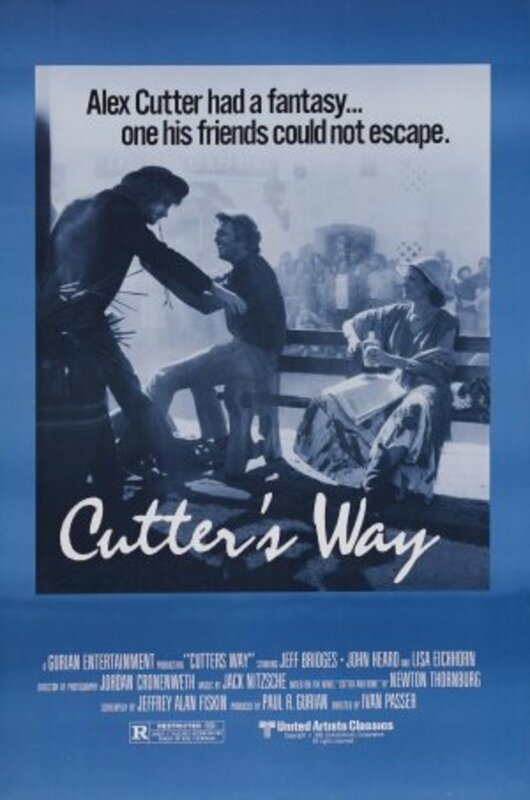 I remember watching this when I was 10 and not fully understanding the references and now when I watch it I can say that Luhrman certainly got the angst of young love but I don't think it will ever be my favorite. I love the Zefferelli version, but I can also appreciate another version that appeals to a wider audience. Anything that makes Shakespeare appeal to others is acceptable. Great breakdown of Romeo and Juliet. West Side Story will always be a great film to watch! Thanks for reading, JBunce. I always enjoyed this adaptation, too. I think some critics are too quick to dismiss it just because of its popular teen stars, modern soundtrack, and other modernizations. If anything, the movie at least brought a generation of viewers closer to Shakespeare.